This article originally appeared on LightSail's Kickstarter page. Tonight, for the first time, I glimpsed our spacecraft with my own eyes. It was just the faintest pinprick against the bright lights of the big city. But, there it was right on time and exactly per the coordinates. I’ve tried to see it a few times before, but clouds and lights obscured my view. 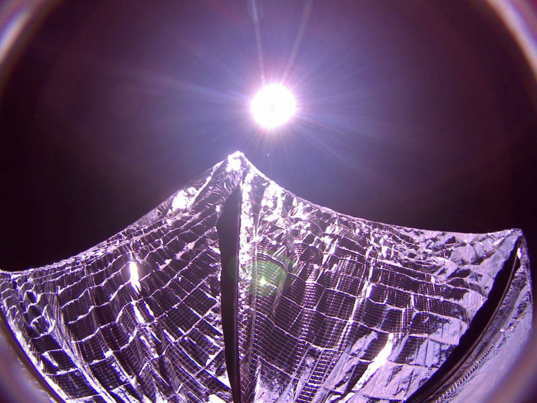 LightSail 1 is somewhere in this shot on June 14, 2015. Tonight was the first time it was high enough above horizon (41ᵒ) and clear enough. It came out about 20 seconds later than I expected. But there it was. 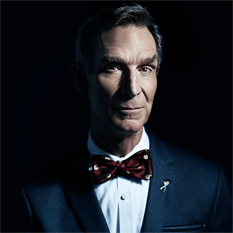 I know that by the time most of you read this, LightSail-A will probably have been incinerated in the atmosphere. That is and was the plan for this test flight. 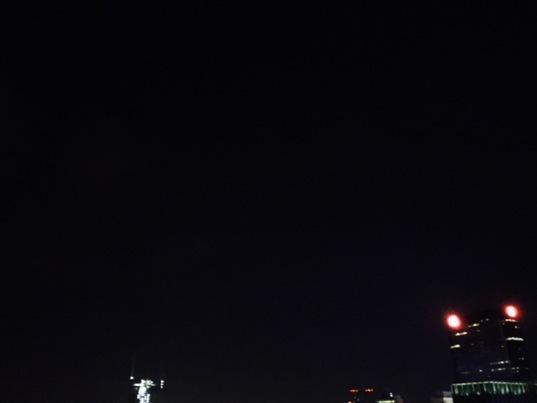 My few moments alone on the roof tonight with our LightSail spacecraft silently crossing the sky were very gratifying. Thanks for your years of support. We are advancing space science and exploration. This mission is part of our mission. The best is yet ahead. Well TPS did it! Thanks to all parties and individuals who helped make this test bed flight a success. Flight Test 2 needs to include what we learned so that mission can be far more successful than it could be if we flew it tomorrow. If solar sailing actually works, would not it be nice if we could do spacecraft 3 as a comm. relay station and park it in Martian orbit to assist the rovers? On Flight Test 2 if we can sail and if so, well enough, if we could have a small throttle-able engine just to nudge a comm. unit to capture two LightSail S/C to the comm. units topside and at opposite ends, so both sails can open allowing sailing to Mars. If the comm. unit can be small enough then maybe only one S/C would be needed. That in my book is an idea worth attempting. If we pull this off then flights after that would be purchased by the S/C builders and since it is our S/C concept then we could collect say a 10% "royalty fee" for each S/C and fund ourselves. Hmm? I can 'feel' the naysayers but I don't like being told it can't be done. Lets figure how to do it then go do it. Actually it's still there, still clinging to its life this moment, at an altitude of less than 80 miles, according to the n2yo satellite feed... All the time it had meticulously avoided whooshing across the part of the sky beneath which I'd catch myself nevertheless peeking up from time to time. Hence the shot is a bit of a deja vu... :) Wonderful, the whole project, from beginning to end of take 1. At some point in the future, this will be a very economical way of getting "from here to there". It is great to be a part of something that has the potential to be beneficial for everyone on the planet. All walks of life, be it private/gov't/military/etc. may find this very useful. All that being said, I am still quite sad to see the little guy go. Hello Bill, my name is Kc and I had a question on if space propulsion by fusion in a magnetic dipole as a idea has ever been followed up on? Thanks for your time and all you have done and are still doing for everyone!